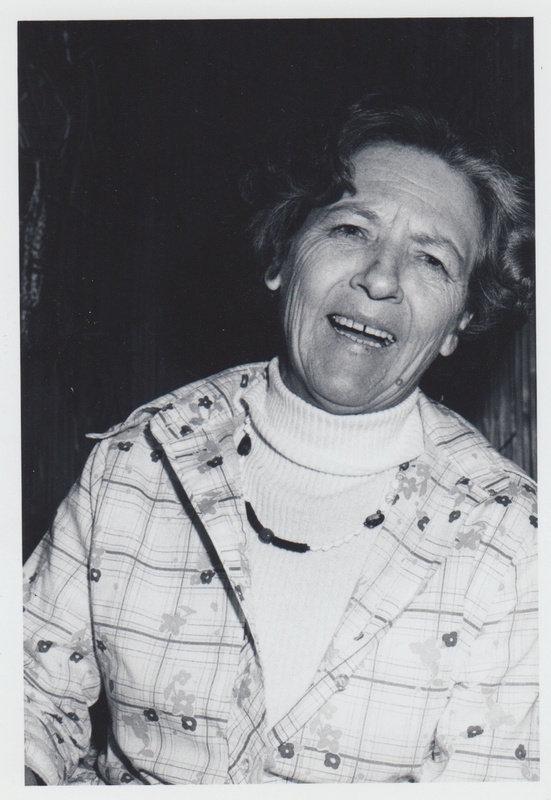 Violet Kondor was born on March 2, 1920 in New Mexico to Hungarian immigrant parents. She grew up in central Colorado on a farm with three sisters and one brother. There was a saloon for miners on the property that her mother ran, mostly by herself, due to the death of Vi’s father, the legend of which is highly disputed. Vi moved to San Francisco in the 1940’s with her mother, Elizabeth, her brother, Steve, and her younger sister, Christine. They bought several buildings in neighborhoods comprised of mostly middle-class, immigrant families, now known as the Castro and Mission districts. Vi had two marriages, both which ended bitterly and the details of which I don’t think she would want me to share. She kept the last name Cole from the first of the two. She had two children by Mr. Cole: my father, Jim and my Aunt, Elizabeth. Later, Vi would work in a bakery, her mother would work at Woolworths, and her brother would become a Merchant Marine. Christine, would become a wife and mother, among other things, but would live to see the death of her husband and her only son, both by heart attack. Though Christine was the youngest amongst her siblings, she herself would pass decades before the eldest of them. The remaining members of Vi’s family would remain in Colorado the rest of their lives. I don’t remember when I met Vi and for most of my life she would seem always be there. Vi was the only person who knew about my imaginary friend, Charlie. He disappeared around the time my sister was born, but Vi remembers playing with the two of us and celebrating Charlie’s birthday with cake and presents, bi-weekly sometimes. I spent nearly everyday during the summer with Vi when my mother worked. She lived alone the majority of her adult life in San Francisco and managed the Edwardian building she owned and resided in. She had a truly amazing garden that she tended by herself. She owned a TV, but only ever listened to the radio in the morning. She told me once that she lost whole days sitting in her sunny front room reading the newspaper cover to cover. She paid for my singing and dancing lessons many years when my parents could not, she took us on countless vacations, paid for my college education and conservatory training in London. When I moved to San Francisco after college, she let me live with her in a spare room and then let me live in one of the flats in her building, rent-free. Those years living so close to Vi were wonderful and aggravating. We enjoyed eating pizza, drinking beer, and going to museums together, but being an insecure 20-something, I felt that Vi kind of cramped my style. I reluctantly helped her with some of the work around the building that she couldn’t do and drove her car for her at night when she was afraid to drive. But sometimes I told her I was busy, that I couldn’t stay for dinner, or that I wasn’t able to help her because I had a date. She responded in turn by always letting me off the hook, giving me money when I needed it, letting me borrow her nicer car, often paying my bills, buying me lovely presents, attentively and lovingly listening to my every word, gushing about every one of my accomplishments, and always being eager and excited to see me. Then one unexpected day, she was diagnosed with cancer. She died two weeks later. During those two weeks before she passed, I silently reflected on all of the moments I had taken for granted while in the presence of this dear, loving woman. When I found out she was sick, I was sure I’d have more than two weeks with her and, as one does, waited until it was too late to say the big things she really should have heard. But in truth, what I wanted to tell her I didn’t have the words until after she died. I didn’t know what she had been providing me until all I could feel was its absence. It’s hard not to call what I feel about my grandmother regret, but I won’t do it because I believe Vi finally made her point: Be generous with your heart—to be able to give from it is the blessing—and never ignore the gaze of those who truly love you. Such a richly textured, gently unfolding story of what seems to me to be Vi's undefended and unconditional love for you. In my opinion, her resilience, versatility and generosity still ripples through you to everyone you come into contact with. Thank you so much, Cecile for your kind words. Though she passed over a decade ago, writing this brought so much of what I feel about her to the surface. Thanks for reading!